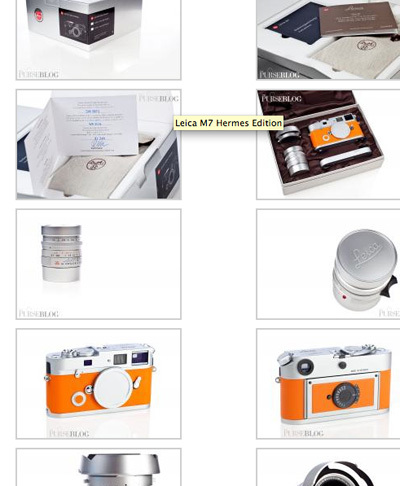 Vlad Dusil over at purseblog.com just posted his very cool “unboxing” of the Leica M7 Hermes Edition in Orange! Many will say that this camera is just for show or gaudy in the orange color but man, I am digging that color combo! The orange leather and silver 35 Lux…sweet! Click Here to check it out! He I shot Meghan & Vlad’s wedding. It was the first time ever that the groom had a D3 at the wedding. Very cool couple!! I loved shooting their wedding. As a Dutchman, I can see this camera being used in covert street photography at international soccermatches with the Dutch team 😉 It should also be sweeeeet when bringing this to the Olympics, for that matter. I would use it too, if I had the money. I hope the next lux 35 has a silver option by default, as I don’t want to purchase a black one. For me, the camera in a box provides 0 utility, apart from eye candy. I’d buy the hermes strap and the lens 🙂 They can keep the orange leather, I’m happy with my MP. I must confess though that, unlike some others, I really did like the “white” M8.2 Leica produced and thought that looked pretty cool. thanks for your compliment. I do shoot all of those myself. Prior to a few months ago, I shot with the D3 plus an assortment of Nikkors and ZF glass. Later, I switched to Canon and am now using L primes mainly. My M6 classic and M7 get frequent use for street photography, haven’t used them for any of our bag coverage (yet). And as for the Hermes M7, I do not plan on shooting any film with it. I consider it an investment which – considering the history of limited Leicas – should get a nice appreciation over time. There’s two options to increase its value. Either I can use it heavily until it develops a heavy brass patina, or I’ll keep it in pristine condition. I am not saying that I got it with the intent to resell, I got it because I am a fan of the fashion house Hermes and a fan of Leica, alike. But like any other piece of art, it’s meant to be kept pristine for a long time. I really, really like it. If I bought it, I’d be the kind of person who’d actually USE it! But I definitely see the “collectible” side. I’ve been a massive fan of Leica since I was a kid – especially the custom jobs. To this day I occasionally trawl ebay looking for special Ms. It also confirms my love of that silver/grey look – and why I ordered that color M9. Thanks Steve for linking to our unboxing! Fred, when adding up the retail prices for M7, 35 ‘Lux and the Leicavit, we’re at over $10k total. The markup is not that significant considering the limited production run of the set. At least to me… heh. Hey Cidereye! Yep, to each his own but yes, Leica makes quite a bit of cash producing these “limited editions” and I am all for it. People buy them up (usually..not so sure on the white M8) and Leica makes a hefty profit. 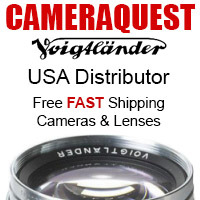 As for creating lenses for Canon and Nikon they should pursue this but I am also sure the cost of such lenses would be astronomical and they would still be a niche item. In less than a year we will probably see a special cowhide M9..ha ha. Looks awful to me but hey that’s just my personal opinion. 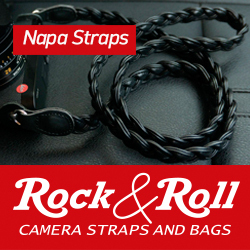 I can never understand this side of Leica’s business to be fair. They make these set’s for mainly collectors who keep them tucked away in their boxes never using them in general. Now I am told it is purely a financial thing for Leica and they make good money selling these designer boxed kits which is fair enough but surely if the people at Leica stopped putting their energies into small time stuff like this and started making their own lenses for say Canon & Nikon SLR’s surely they would never have to worry about their future as a company again? The clamour for these specialist lenses would be immense and with so many fantastic “R” mount lenses up Leica’s sleeve would not take much of a work around to make them in Nikon/Canon mount formats? I’m just very surprised that Leica have never done this especially these day’s where so many people want to try Leica glass using converters etc. It’s beautiful, but I don’t see the point of owning one of these. Unless you’re a collector. Seems too flashy and says “steal me” all over it. As a collector’s item, who knows?